When it comes to the war powers, there is an underlying question of the structure of politics that has produced our profound contemporary apathy on issues of war and peace -- so that members of Congress avoid having to vote on authorizing the use of force. A common argument is that the absence of a draft lessens the stake American civilians have in war, and so the military/civilian divide is dated from the post-Vietnam era. My current work rolls the clock back to the Civil War, arguing that the structure of American war politics changes much earlier. Its origins are in the loss of what Drew Gilpin Faust (quoting Frederick Law Olmsted) calls "this republic of suffering." I am attempting to write a history of what happens to American war politics when the battlefield and the polity do not share the same geographic space, and most American civilians are protected from direct engagement with death and suffering in war (with, of course, exceptions and caveats). It is a story, in essence, of how war lost its politics and became instead a policy option in the hands of American presidents. The reason the president has been unable to get Congress to pass a new war authorization isn’t because Congress opposes military action against ISIS, and it isn’t a simple matter of partisan stalemate. It is because there is no real political constituency for military matters. Faraway conflicts upend lives on the battlefield. As long as someone else’s family does the fighting, U.S. military operations have little impact on Americans at home. Most Americans are protected from the costs of armed conflict. There is no required military service since Congress eliminated the draft in 1973. Other changes in the way the country wages war—relying on contractors to reduce the number of troops, and on technologies that make war appear more precise and less destructive—contribute to a buffer between American civilians and the wars their country is fighting. Without voters paying attention, neither the president nor Congress is held accountable. How this has come about -- and how even WWI and WWII are part of the story of the way distant war affects American civilian engagement -- is taken up in the rest of the essay. 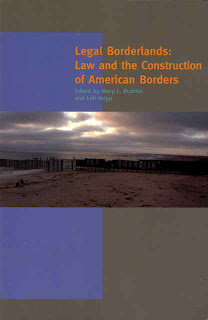 Mary L. Dudziak is the Asa Griggs Candler Professor of Law and Director of the Project on War and Security in Law, Culture and Society at Emory University. 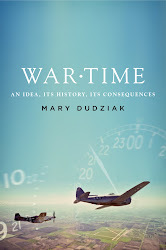 War Time: An Idea, Its History, Its Consequences was published by Oxford University Press in 2012.